$31.00 NOTE: Our shopping cart is disabled. We are using it to display affiliate items which if you click on PURCHASE in the PRODUCT INFORMATION by scrolling below or click on the Amazon banner the RRDi receives a small affiliate fee upon completion of your purchase. Mahalo. 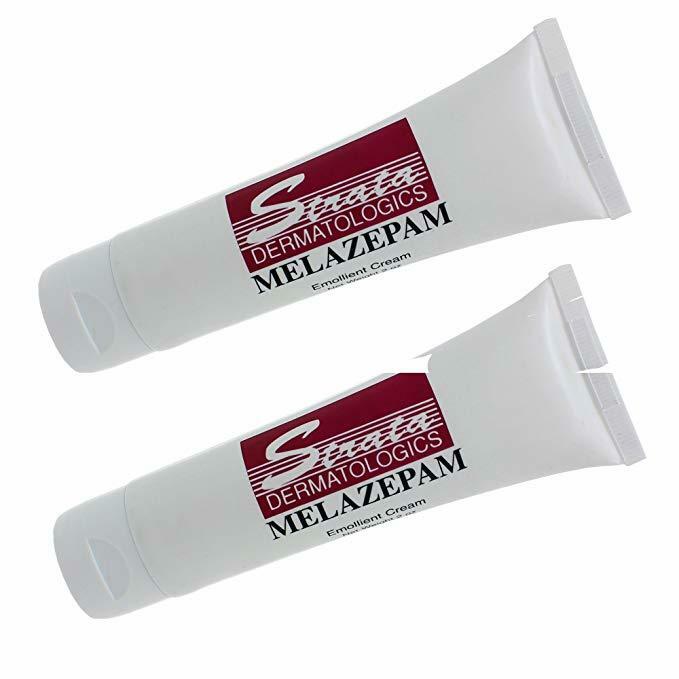 Melazepam is an emollient cream designed to promote healthy looking skin. Melazepam is for use by individuals who tend to experience unsightly skin conditions as acne, pimples, blackheads and rosacea. In addition to offering the skin the benefit of hydration, Melazepam features the key ingredient azelaic acid, proven to reduce redness and inflammation in skin cells. Another key ingredient contained in this formula is safflower oil, which helps moisture stay locked within skin cells to help the skin remain hydrated. Deionized Water, Azelaic Acid, Cetearyl Alcohol, Ceteareth-20, Mineral Oil, Propylene Glycol, Petrolatum, C12-C15 Alkyl Benzoate, Carthamus Tinctorius (Safflower) Seed Oil, Polyacrylamide, C13-14 Isoparaffin, Laureth-7, Glyceryl Stearate, PEG-100 Stearate, Isopropyl Alcohol, L-Carnitine, Benzyl Alcohol, Xanthan Gum, Potassium Sorbate, Potassium Hydroxide.